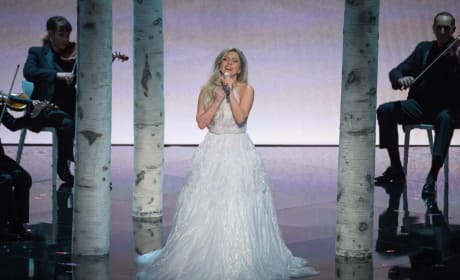 Lady Gaga Sound of Music Tribute Wows at Oscars: Watch Now! Lady Gaga blew us away with her performance at last night's Academy Awards. Check out Lady Gaga singing highlights from The Sound of Music. Sin City A Dame to Kill For: First Photo of Lady Gaga! Lady Gaga makes a cameo in Sin City: A Dame to Kill For! And Robert Rodriguez has released the photo of Lady Gaga in her role in Sin City: A Dame to Kill For.